Gas Hear Limited a High Potential Start Up had a new product idea that they had brought to the product prototype stage. They approached RIKON for assistance to design and map the business model for their new product that would assist them in getting their product to market. RIKON mapped Gas Hear Limited business model and then undertook significant research into best practices in their sector and their competitor landscape. We then completed a SWOT analysis to factor in the opportunities and threats to their business model and to establish their unique selling point and value proposition that would set them apart from their competitors and assist them in creating a viable business. We tested and challenged the critical assumptions of Gas Hear Limited business model. Their initial assumptions before the start of the project, were proven to be overly optimistic as the market was already supplied by several alternative solutions and the target customer segments were showing little evidence of demand for the product. All these factors contributed to Gas Hear re-evaluating the fundamental concepts of its business model and deciding not to proceed with the next step of its business plan and invest further resources. The process with RIKON ultimately gave Gas Hear Limited a much better understanding of the landscape of the industry and challenges within it. RIKON’s assistance saved the company significant time, effort and costs by eliminating a non-viable new product idea and allowing the company to fail fast and concentrate their effort in other directions. 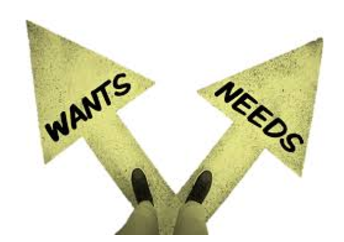 Sometimes we are so focused on what we want, we miss the things we need. RIKON can help you identify your business needs.